Over recent months, I have been publishing a range of articles reflecting on gender diversity, female ambition and what holds women back. 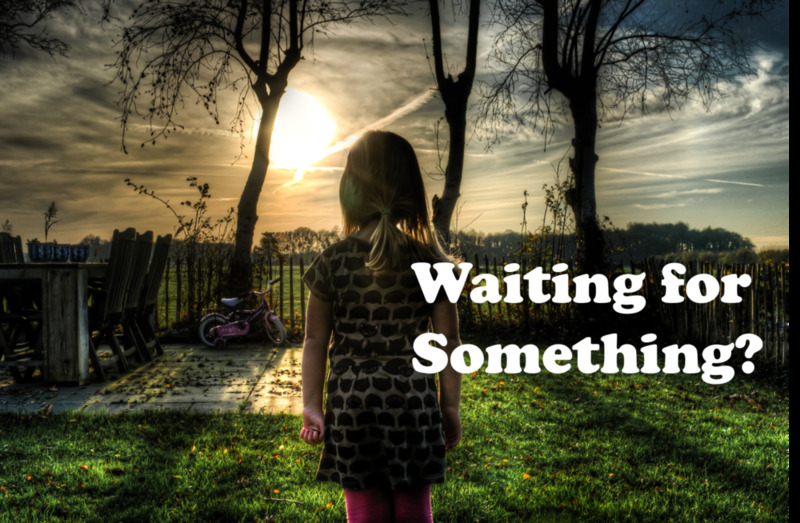 This particular post is the first of a three part series on the notion of waiting and reflects on the Dreamer category in the model of Ambition Styles that I shared in How Your Ambition Style Impacts your Professional Worth. Waiting to be discovered (agency). And this particular post is about #1 - waiting for the time to be right, which quite possibly impacts far more women than men. Waiting for the time to be right is, in a nutshell, waiting for conditions to be perfect - I'll do this when the mortgage is paid down more, when I've done that next course, when I've got more time. Yet I put to you that in fact it's a delaying tactic that will stop you getting to where you want or need to go. It might feel safer, feel like the right thing to do, plus your family and friends might be more comfortable with this behaviour – but deep down inside you will always wonder “what if?” as you potentially suppress your own dreams and somehow diminish your desire and ability to do amazing work. "If you want to summarise the habits of successful people into one phrase, it’s this: successful people start before they feel ready. If there was ever someone who embodied the idea of starting before they felt ready to do so, it’s Branson. The very name of his business empire, Virgin, was chosen because when Branson and his partners started they were “virgins” when it came to business." A 2013 Bain & Co report, Creating a Positive Cycle: Critical steps to achieving gender parity in Australia, highlights one of the issues that is a conundrum - (Australian) women are represented well in higher education courses at universities and yet are not represented in the pipeline for senior leadership roles. "Why is it that women have been graduating from universities at greater rates than men for more than 25 years and yet a senior female executive still remains a rare sight?" As women we frequently place ourselves (careers, dreams and ambitions) second. There is considerable evidence available now that indicates that male and female brains are wired differently, that our brains are programmed in the first instance to scan the environment for risks and are far more focused on being prepared. Additionally, many women are socialised to believe that being well behaved and doing things right is a surefire pathway to success and putting others first is the right thing to do. Yet, while it is now far more widely accepted for women to break with tradition and place their career aspirations as equal to men, it is still the aberration and not the norm and women are keenly criticised - openly and also subtly. We frequently see high profile women being asked by the media how they manage work life balance - yet men are not asked the same question. When career opportunities come your way it is frequently never a good time. Perhaps a Board position was offered to you before you got to do the AICD preparation course. Or your manager resigned or moved upward but you were still doing your Master's so didn't feel fully qualified yet. Additionally mortgages and rent will nearly always need to be paid, husbands or partners will frequently be going through tough times in their own roles and children will always need feeding even as you keenly feel the need to step up, take charge or take on more responsibility. It's a bit like buying property in Australia – there is never a good time. It's always expensive and the longer you leave it the more expensive it gets. Getting into the game is far more critical than waiting for the conditions to be right as the prices are always on the rise and, once you have some skin in the game, you will find a way to make it work. So for both women and men who like to be fully prepared but sometimes feel as though they are "always the bridesmaid and never the bride", the only real advice is to just stop waiting and get on with it. Richard Branson's mantra of "screw it, just do it" might sound like rough and ready advice, but it will get you moving in the right direction and get you on a pathway to bigger bolder ventures far faster. Let’s forget about getting the timing right, or the stars aligned, and focus instead on making things happen and creating change. Older PostDo You Know the Rules of the Career Advancement Game?